The Unikko cosmetic bags are made of cotton and are decorated with the green, light pink and brown Mini Unikko pattern, which is printed in Helsinki. The bags have a zipper closure and a nylon lining. Vilja has two pockets and places for brushes inside. Mouth-blown glass. design Carina Seth-Andersson. Made of laminated birch plywood, this round tray measures Ø31cm. Wiping with a damp cloth or wash by hand. Do not soak. 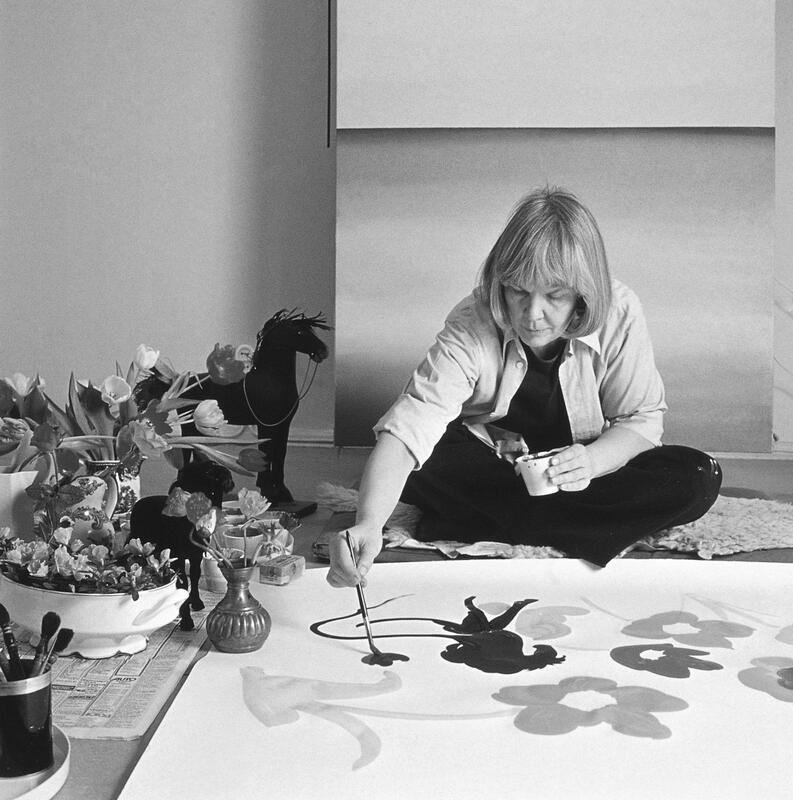 Maija Isola's (1927-2001) remarkable career as a textile designer began at Printex, Marimekko's predecessor, in 1949 and lasted 38 years. She designed more than 500 fabric patterns, which cover an amazingly diverse range of motifs and design techniques. She drew inspiration for her work from traditional folk art and modern visual art alike, from nature and her countless trips around the world. 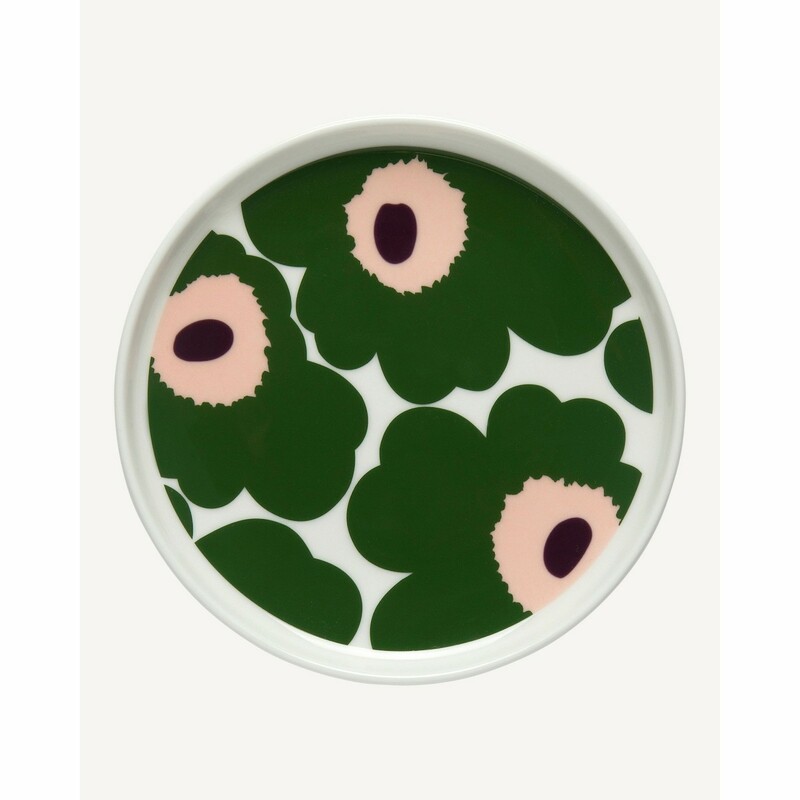 Her designs, such as Kivet (stones), Unikko (poppy) and Kaivo (well), continue to be an essential part of Marimekko's collections. 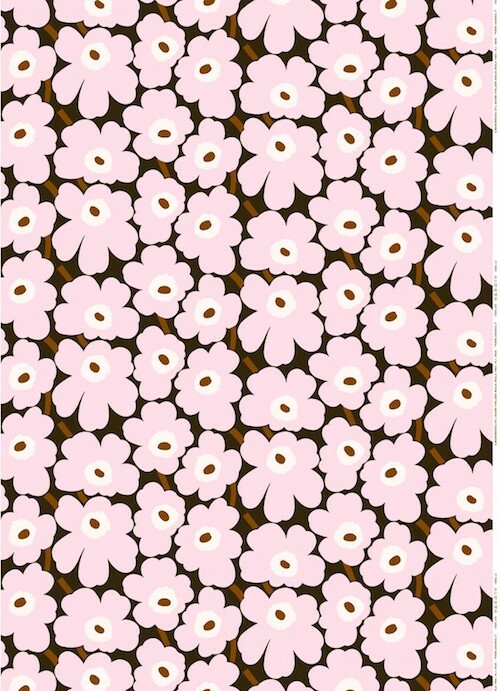 This classic was created in 1964, after Marimekko founder Armi Ratia publicly proclaimed a ban on flowers in Marimekko prints. Artist Maija Isola defied the order and designed a whole collection of floral patterns that were so fresh and unique that Armi ended up taking eight of them. One of those she accepted was Unikko, the future icon of icons, red and black or in seasonal new shades. This heavyweight cotton tote bag features the stylized flower Pieni Unikko. 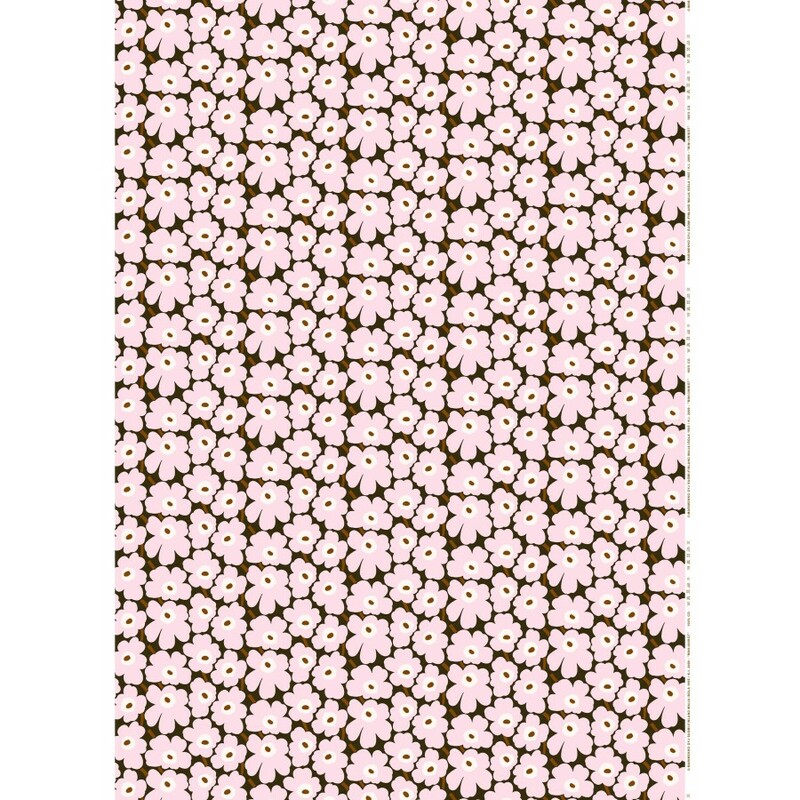 44 x 43 cm. The square cushion covers features the Unikko print. They are made of heavyweight cotton and have a side zip closure. Note: Because Marimekko sews the cushion covers using the whole width of the fabric, the pattern may vary slightly from item to item. Each cushion cover is unique ! 100% cotton. Unikko duvet covers are made of cotton and has a central opening at the bottom hem. Shrinkage max. 5%. Follow the washing temperature given. Wash before use. 100% cotton. Fabrics are sold by the decimetre (1 metre = 10 decimetres). For example, If you need 2.2m, choose 22 units. Coated cotton: phthalate-free – Iron on reverse side. Width 145cm. Printed in Finland.